Employees attendance built in function of POSCP lets your HR department real-time access to the staff availability specially dispatchers. You can monitor the efficiency of your dispatchers and it helps to manage payrolls. Automating time and attendance record .. Allows you for better scheduling ! 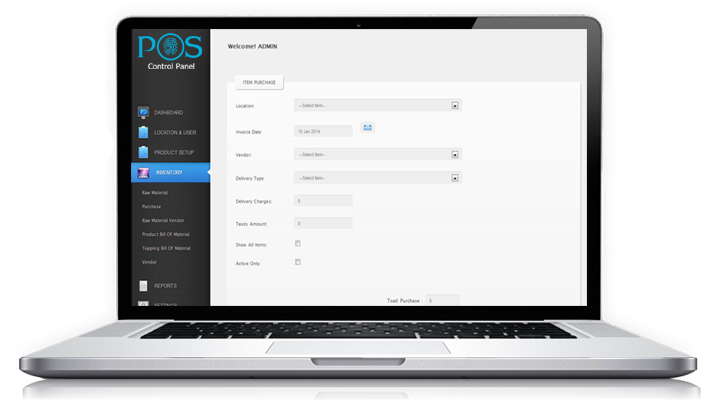 Add recently hired personnel and new administrators in seconds with our POSCP. Stay in control of your entire c-store operations by adjusting permissions, which will either allow or deny access to data that can be viewed, edited, or deleted. Our highly professional POSCP allows managers to set up all the information relevant to your employees within the system, including their pay rates and identify the best employees for each job by reporting on average revenue per table and other key metrics. Further more, time and attendance systems are integrated to ensure employees are checking in and out of work. Communicate with your employees through your POS system, and you can ensure messages are read and important dates are not forgotten. POSCP provides you the ability to automate store close and over/short reports, daily cash drops, fuel sales, small register closeouts, and even tax collection summaries. It includes variety of reports that are designed to provide the information you need to make critical business decisions.Because you do not have to manually enter data as it pulls, you can cut down on the amount of time it takes to complete your end-of-day procedures without worrying about double-entries or human error. You can even create reports into your choice of PDF or Excel documents and perform daily sales reconciliations all from one place. POSCP offers the facility to create individual pin code for every user so that your staff members could individually add the details of the work done regarding order deliveries, estimated time and their check in hours.